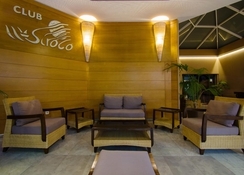 Hotel Club Siroco is a modern hotel that offers rooms-only, bed & breakfast, half-board and all-inclusive boarding options to travellers looking for a memorable seaside holiday. The complex is built around a pool, mostly offering pool views. This adults-only hotel is mostly visited by couples and group travellers and features proximity to recreational areas. In the evenings, you can also visit the TV lounge to catch up with your favourite show or other events, or simply head to the bar. The Costa Teguise Golf Club is about 5km from the complex, in case golfing comes to your mind, otherwise, renting a bicycle/bike and exploring the rocky shore is a fancy among travellers to this part of the world. 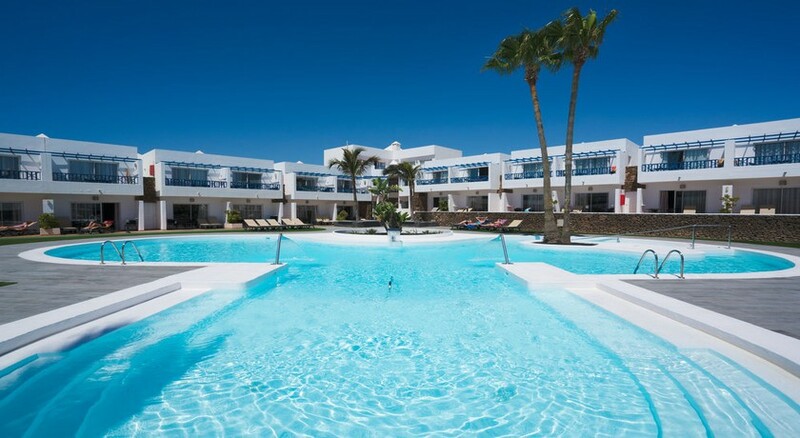 Located about 500 metres from the beach, Hotel Club Siroco is an adult-only destination in Costa Teguise, Lanzarote. The main strip is roughly 800 metres away from the hotel—there are a few restaurants and bars around the hotel—around the main strip is the main beach where you will find plenty of motorised and non-motorised water sports activities. Calle el Tenderete, the only water park in the surrounding is about 10km. 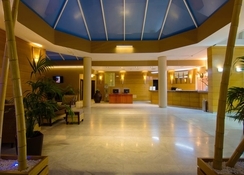 The Costa Teguise Golf Club is about 5km from the property. Besides trekking and hiking, guests can explore the neighbouring towns and villages—places of interests are Las Caletas, Los Ancones, Charco del Palo. Arrecife is 10km, and the distance to Lanzarote Airport is about 15km from the hotel. Hotel Club Siroco houses luxurious one and two bedroom apartments that are perched across two buildings, Club Siroco and Serenity Area. Described as modern and spacious, they are designed for travellers looking for a calm and a relaxed holiday. They are divided into Apartments with 1 or 2 bedrooms, Serenity Area-PREMIUM apartments with 1 or 2 bedrooms and Junior Suite, Adapted Room. Some facilities you will find common across the hotel are en suite with bath amenities, TV with satellite, private balcony/terrace, telephone, safe deposit box, hairdryer, and Wi-Fi. Also functional in style, all the apartments are furnished with kitchenette equipped with toaster, microwave, fridge, electric hob and other kitchenware. Also in the plan is a balcony/terrace, mostly built overlooking the poolside. Fresh towels are provided daily, linens are changed once a week, and housekeeping is available four times a week. A buffet restaurant, pool bar and chill out bar are some of the dining and drinking options available to the hotel’s guests. The main restaurant serves breakfast, lunch and dinner in international buffet style. On the breakfast spread, you will find plenty of continental items that are freshly baked, prepared and served. During lunch and dinner, you will not only find live cooking station and theme dinner, but also various local and international items on the spread. The buffet also serves a wide selection of items to vegetarian guests that include starters and desserts. In addition, there is an a la carte restaurant, where you can enjoy local specialities, complimented by wine—reservation might be required. And finally, the bar features an extensive alcohol menu, catering to cocktails, mocktails, beer, and other alcoholic and non-alcoholic drinks and scrumptious light meals and snacks. The hotel houses a large outdoor swimming pool that comes surrounded by loungers and parasols. Some of the activities, which can be explored in Lanzarote include surfing, wind surfing, diving, golf, fishing, horse riding and much more. And besides basking and soaking, you can play tennis in the on-site tennis court and also take advantage of the tennis-paddle teacher to organize a course for you. Cleaning four times a week. Change of sheets once a week, change of towels twice a week. Really fantastic stay for my first holiday, really calm hotel. Friendly staff. Good value for money and entertainment and lots to do. Quick walk to the beach. Had the best week! Me and my boyfriend stayed here in June , the hotel was amazing we stayed in the serenity apartman , lovely big rooms huge double walk in shower very spacious bedrooms and lounge area .with double patio doors open on to the balcony looking out over the pool .very clean and quiet our best holiday by far .we aim to return 2019 . Really lovely apartment with all mod cons. Always upgrade to the senerity area. Lovely place, very quiet and relaxing. Food a bit same, our room was ok but in the bedroom you couldn't open the wardrobe door fully to get in, either to put your clothes in or access the safe. The hotel was clean and all staff was very friendly. Rooms were nice and the living area was also nice. It contained all kitchen equipment that was required. Rooms far to hot. Have to pay for everything fans for rooms pay and a returnable deposit. Same for tv remote. Pool cues by the bar. Breakfast was awful food. Staff were great, pool areas nice and clean, only a 15 minute walk to main area. Rooms have no air conditioning and if you want a fan you have to pay €20! The rooms in the pictures are part of the new development that guest do not actually stay in!